Sai In My Breath: Report on 5th, 6th, 7th & 8th Week - Special Sri Sai Baba & Saraswati Puja for All Children/Students attending Final Exams in 2016. Report on 5th, 6th, 7th & 8th Week - Special Sri Sai Baba & Saraswati Puja for All Children/Students attending Final Exams in 2016. Well & Wish to hear the same from you. It is been a long time writing to you all. First & Foremost a Very Happy Fun Filled, God Blessed, Healthy, Prosperous & Successful New Year 2016. It all started in 2008 when i started Performing the Puja for Couple of Distressed Children who were going to write their Annual Final Exams & i wanted to give them Mother's & Guru's Blessing to perform well & Score the Best. I've been Performing Special Sri Sai Baba & Saraswati Samuhika Puja for All the Students who are going to face different exams in the coming months of February, March, April & May. This is the 9th Year that i'm performing this puja to benefit Sai's Children attending their exams. This Year I'll be performing 11 Thursday Special Puja starting from 11th Feb 2016 till 21st April 2016 comprising of Sheerabishekam & Panchamrutha Abhishekam to Sri Sai Baba. 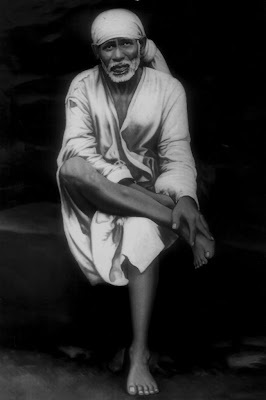 Sri Sai Baba Ashtothara Shata Namavali, Sri Dattatreya Ashtothara Shata Namavali, Sri Durga Ashtothara Shata Namavali, Sri Saraswati Ashtothara Shata Namavali, Sri Lakshmi Ashtothara Shata Namavali & 108 Pradakshina to Shirdi Sai Baba at Sri Shirdi Sai Baba Temple. Offering Dry Coconut, Nava Graha Dhanya (9 Grains) & Ghee to Dhuni & also performing Dhuni Puja. The 1st Puja has been planned to be commenced with the Blessings of Mother Padmavati at My Home at My Hometown Tumkuru, Karnataka, 70kms from Bengaluru. This time too, I'll be performing 71 days (11th Feb 2016 till 21st April 2016) Daily Puja to Sai Baba by performing Sankalpam, Archana to Sri Sai Baba & Kumkum Archana to Durga, Saraswati, Lakshmi. Homam will be performed on the final day of the Event. 05: 10th Mar 2016: I successfully completed the 29th Day, 5th Thursday Special Sai Baba & Saraswathi Puja with the Blessings of Mother Padmavathi at My Brother's Home in Visakhapatnam, Andhra Pradesh. A total of 275+ Students had enrolled till Today on the 5th Week Sai Baba Puja & the Puja was a Grand Success. I Performed Sri Ganesh, Sri Shirdi Sai Baba, Guru Dattatreya, Sri Medha Dakshina Murthy, Durga, Saraswathi & Raja Rajeshwari Puja. After Performing Sankalpam by Reading out Names along with Gothram, Nakshatram & Rashi that were provided for most of the Children Participating for the Puja Event, Sheerabishekam to Sri Shirdi Sai Baba's Marble statue was performed followed by Panchamrutham Abhishekam consisting of Cow Milk, Cow Curds, Cow Ghee, Honey, Sugar, Fruits to Sri Shirdi Sai Baba. Later Baba’s Statue was Cleaned & Alankar was Performed. After the Alankar, Sri Shirdi Sai Baba, Guru Dattatreya & Sri Medha Dakshina Murthy/ Navagraha Guru's Ashtothara Shatanamavali was performed. Dhoop Aarti, Naivaithyam & Deepa Aarti were performed to Sai Baba. Later Punar prathistha & Punar Sankalpam was performed & Ashtotharam to Sri Durga, Sri Saraswathi & Sri Rajarajeswari were performed to Give Good Health, Good Education/Concentration & Instant Success. As I was Busy with the Arrangements of House Warming of My Sister's New Apartment, I couldn't perform the Dhuni Puja & 108 Pradakshina. But I was Happy to visit the Sri Sai Baba, Dattatreya Temple at H B Colony, Visakhapatnam to have Darshan & Pray for one & All. I Prayed for all the Children, their family, friends & relatives for Good Health, Education, Peace, Success & Prosperity. This Way, 5th Week & Day # 29, Sai Baba Puja got Completed with Sankalpams for 275+ Students. 06: 17th Mar 2016: I successfully completed the 36th Day, 6th Thursday Special Sai Baba & Saraswathi Puja with the Blessings of Mother Padmavathi at My Family Friend & Client Smt. Lakshmi Prasuna & Sri. Mannem Lokanadha Raju's Home in Chinna Waltair, Visakhapatnam, Andhra Pradesh. As there was a Need for Special Prayer for some Solutions for Their Personal Problem, I thought of Performing Sai Baba's Puja at First & then Start the Additional Special Prayers from that Evening. A total of 275+ Students had enrolled till Today on the 6th Week Sai Baba Puja & the Puja was a Grand Success. I Performed Sri Ganesh, Sri Shirdi Sai Baba, Guru Dattatreya, Sri Kubera, Lakshmi, Durga, Saraswathi & Raja Rajeshwari Puja. After Performing Sankalpam by Reading out Names along with Gothram, Nakshatram & Rashi of the Family Members, I read the Names & Details that were provided for most of the Children Participating for the Puja Event. Sheerabishekam to Sri Shirdi Sai Baba's Marble statue was performed followed by Panchamrutham Abhishekam consisting of Cow Milk, Cow Curds, Cow Ghee, Honey, Sugar, Fruits to Sri Shirdi Sai Baba. Later Baba’s Statue was Cleaned & Alankar was Performed. After the Alankar, Sri Shirdi Sai Baba, Guru Dattatreya & Sri Kubera's Ashtothara Shatanamavali was performed. Dhoop Aarti, Naivaithyam & Deepa Aarti were performed to Sai Baba. Later Punar prathistha & Punar Sankalpam was performed & Ashtotharam to Sri Lakshmi, Sri Durga, Sri Saraswathi & Sri Rajarajeswari were performed to Give Good Health, Good Education/Concentration & Instant Success. As I was Busy with the Arrangements of Special Puja for the Family, I couldn't perform the Dhuni Puja & 108 Pradakshina. But I was Happy to visit the Sri Sai Baba, Chinna Waltair Area, Visakhapatnam to have Darshan & Pray for one & All. This Way, 6th Week & Day # 36, Sai Baba Puja got Completed with Sankalpams for 275+ Students. 07: 24th March 2016: I successfully completed the 43rd Day, 7th Thursday Special Sai Baba & Saraswathi Puja with the Blessings of Mother Padmavathi at My Home in Home Town Tumkur. A total of 275+ Students had enrolled till Today on the 7th Week Sai Baba Puja & the Puja was a Grand Success. I Performed Sri Ganesh, Sri Shirdi Sai Baba, Guru Dattatreya, Sri Medha Dakshina Murthy, Durga, Saraswathi & Raja Rajeshwari Puja. After Kalas stapana for Goddess Mother, Ganesh Vandana & Puja were performed to Lord Ganesh. Ghee Deepam was light at the end of the Archana. Dhoop Aarti, Naivaithyam, Thamboolam was performed. Pancha Aarti & Karpoora Aarti was finally performed & the Puja was completed. In the evening after lighting Deepam, Punar Sankalpam was performed & this time Archana for Sri Sai Baba, Sri Dattatreya & Sri Medha Dakshina Murthy & Sri Rajarajeshwari was performed. Dhoop Aarti, Naivaithyam & Deepa Aarti was performed to Sai Baba & Saraswathi. I visited Sri Sai Baba temple at Jayanagar East, Tumkur to Perform Dhuni Puja. As the Temple was very Crowded visited the Sri Dattatreya Temple at Jayanagar to perform the 108 Pradakshinas. While Performing Pradakshina, I Prayed for all the Children, their family, friends & relatives for Good Health, Education, Peace, Success & Prosperity. This Way, 7th Week & Day # 43, Sai Baba Puja got Completed with Sankalpams for 275+ Students. 08: 31st Mar 2016: I successfully completed the 50th Day, 8th Thursday Special Sai Baba & Saraswathi Puja with the Blessings of Mother Padmavathi at Shirdi. As we had planned to visit Shirdi with my Eldest Sister & Brother in Law, I planned to extend the Trip as to be in Shirdi on a Thursday to Perform the Weekly Special Puja for the Children Writing Exams. A total of 275+ Students had enrolled till Today on the 8th Week Sai Baba Puja & the Puja was a Grand Success. I Had Paid for Abhishek Seva at the Temple Premises. After the Abhishek, Alankar & Puja, I Read Archana from My Tab for Sri Shirdi Sai Baba, Guru Dattatreya & Sri Kubera's Ashtothara Shatanamavali was performed. After Archana, Dhoop Aarti, Naivaithyam & Deepa Aarti were performed to Sai Baba. I Performed the 108 Pradakshina on Friday, 1st April 2016 at Gurusthan Neem Tree Early in the Morning between 4am till 4:45am. This Way, 8th Week & Day # 50, Sai Baba Puja got Completed with Sankalpams for 275+ Students. Parents & guardians can also send the Names of the Children along with the other Details Like Standard in which the Student is studying, Place, State, Gothra, Nakshatra & Rashi & puja will be performed on their Names. Those of you Interested in making any contribution to this puja can deposit their contributions by NEFT or Cash Deposit to below given Bank Accounts or also contact me at my mail id: saiinc@ymail.com for more info. Those who have donated the funds may mail us about the same to add your names under the List of Contributors. It has been found out from previous years that some Sai Devotees volunteer to make some contribution ,but the contribution never appears. So People who have promised to make the contributions are requested to Complete the same voluntarily. 1. Mr. Krishna Shankar, V A S Trust, Tuticorin, Tamil Nadu. I Thank all those families, who have supported this cause & made genuine contributions towards the Puja to benefit all the students. Thanks once again for your support. With the Contributions generated, We are donating Pen, Pencil, Ruler, Eraser, Pencil Sharpner & Geometry Box for 500 + children attending exams in Govt schools with Poor Back ground in this year 2016. We are also making contributions to Old Age Homes, Orphanages, Mentally Retarted Childrens homes, Leprosy Camps. So Please donate generously. Updated on Thursday, 11th Febraury 2016. Updated on Friday, 12th Febraury 2016. Updated on Saturday, 13th Febraury 2016. Updated on Sunday, 14th Febraury 2016. Updated on Wednesday, 17th Febraury 2016. Updated on Saturday, 20th Febraury 2016. Updated on Wednesday, 24th Febraury 2016. Updated on Friday, 26th Febraury 2016. Updated on Tuesday, 01st March 2016. Updated on Friday, 04th March 2016. Pls continue with the same Format & your names will be read out during the puja. All the Very Best for all the Children attending Exams in the coming Months. Raghav N for Sri Naga Sayee Foundation. Sri Rama Navami Celebrations in Shirdi.